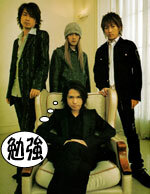 In the line "meguri kuru toki ni yakusoku wo ubaware sou" (and the other line involving "toki" later on), Hyde sings "toki" but writes "kisetsu". So the line could also be translated substituting "time" for "season". Hyde is implying that time passing is the seasons changing.